Focused on technological up-gradation, dynamism and innovation, we are moving ahead by maintaining timeliness in delivering a wide gamut of Side Guide Roller for Hydropower Industry. Known for its superior quality and performance, these products are designed in compliance with set industry standards. The offered products are made at our hi-tech manufacturing unit using finest quality material. In addition to this, these products are perfectly examined on different quality parameters for ensuring its flawlessness. 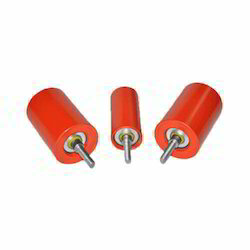 Looking for Side Guide Roller for Hydropower Industry ?